Producer, composer, label head, DJ, and one-half of short-lived group Darkside, Chilean American artist Nicolas Jaar wears a lot of hats, and, with a prolific number of releases and collaborations over the past few years, most recently last year’s full-length Sirens, he’s earned more than enough cred to justify his numerous endeavors. Mixing experimental and Spanish influences with hip hop and house, Jaar has become a fixture in the underground electronic scene, and he’s bringing his heralded live show to Nashville for the first time on April 8, for an all ages show at Marathon Music Works. Tickets are still available here, but if you’d rather leave it to chance, we’re also giving away a pair of tickets to one lucky fan! Read on for more, and enter below! Born in New York City to a Palestinian-Chilean father and a French-Chilean mother, and subsequently raised for several years as a child in Chile speaking Spanish before returning to New York, eclectic, electronic artist Nicolas Jaar has proven to be one of the most versatile, interesting, and dynamic musicians in the New York club scene. Encouraged at a young age to turn his weird, slow, experimental songs into more dance friendly electronic tracks, combining hip hop and house music, Jaar made an early ripple performing in Brooklyn, and by the time of his 2011 full-length debut, Space Is Only Noise, the young artist was lighting up the blogosphere. While his next formal album, the thoughtful and progressive Sirens, didn’t arrive until last year, Jaar spent the interim releasing EPs and collaborations, founding his own imprint label, Other People, scoring the soundtrack for critically-acclaimed French film Dheepan, and accounting for one half of buzzworthy EDM supergroup Darkside. Merging his South American heritage with a knack for weird and experimental arrangements, and with composition skills far superior to many of his peers, Nicolas has emerged as one of the most interesting and unique EDM artists of the last several years, and whether you’re dialed into the scene or just a casual fan, you’re sure to find something to love at his Nashville debut. Winner will be announced Wednesday, April 5 at 5 p.m. CDT, and will receive one pair of tickets. Good luck! Win Tix to Nicolas Jaar at Marathon Music Works! 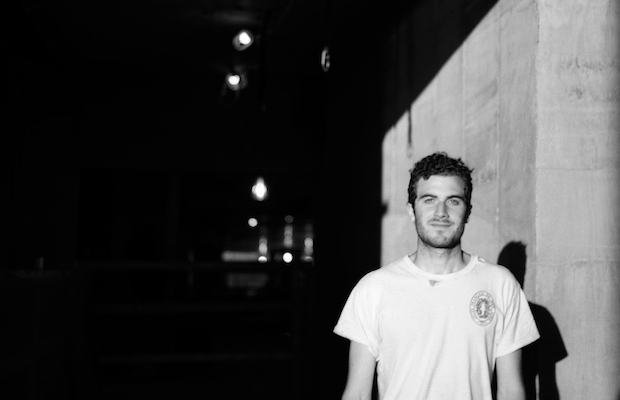 Nicolas Jaar will perform Saturday, April 8 at Marathon Music Works. The show is all ages, begins at 8 p.m. (doors at 7 p.m.), and tickets are available to purchase for $20-25.